We’d love your help. Let us know what’s wrong with this preview of Lady In Waiting by Rosemary Sutcliff. Handsome and gifted, Walter Ralegh was a star even in a court of brilliant men ruled by one of the greatest monarchs of all time, Elizabeth I.
Ralegh held position and power, and was loved by the Queen, but his dream was to conquer new lands for Elizabeth, to find El Dorado. Bess Throckmorton was one of the Queen's Maids of Honour. Shy and retiring, her dream was to captur Handsome and gifted, Walter Ralegh was a star even in a court of brilliant men ruled by one of the greatest monarchs of all time, Elizabeth I. Shy and retiring, her dream was to capture the heart of the proud and restless Ralegh, in whose life it seemed she would always come second. Once a beloved courtier, he becomes a disgraced prisoner. And his dreams of reaching El Dorado seem to be forever out of reach. Will Bess lose Ralegh to his seemingly unattainable goal? Will Ralegh ever be free to re-take his position in court? Or is he doomed to stay forever out of favour with the new king….? Set against the dramatic backdrop of their times, Sir Walter Ralegh and Bess Throckmorton’s love was passionate and enduring. Rosemary Sutcliff CBE (14 December 1920 – 23 July 1992) was a British novelist best known for children's books, especially historical fiction and retellings of myths and legends. For her contribution as a children's writer Sutcliff was a runner-up for the Hans Christian Andersen Medal in 1974. Although she was primarily a children's author, some of her novels were specifically written for adults. Her other adult works include ‘The Rider of the White Horse’, ‘Blood & Sand’ and ‘The Flowers of Adonis’. To ask other readers questions about Lady In Waiting, please sign up. And I thought The Lantern Bearers was bleak. This is unmistakably Sutcliff, for all that it's outside of the range for which she's better known, and it showcases all her strengths: the nature description, its use to reflect atmosphere and mood, the way she captures people being people--imperfect, sometimes oblivious, sometimes lashing out--while still depicting them with tenderness and sympathy. And yet--I can't say I enjoyed that. Partly that was the bleakness (I can't be the only one who finds And I thought The Lantern Bearers was bleak. This is unmistakably Sutcliff, for all that it's outside of the range for which she's better known, and it showcases all her strengths: the nature description, its use to reflect atmosphere and mood, the way she captures people being people--imperfect, sometimes oblivious, sometimes lashing out--while still depicting them with tenderness and sympathy. And yet--I can't say I enjoyed that. Partly that was the bleakness (I can't be the only one who finds Ralegh's life all the bleaker for the fact that his dreams--the gold mines, the northwest passage--were not only unachieved, but unachieveable, that he spend his life fighting for phantoms, can I? ), partly it was that it seemed just a trifle unfocused. It's hard to tell a story of an entire life, decades on decades, in a single, slim volume, and to accomplish it Sutcliff skips from scene to scene with very little transitional cartilage. Not a romance, as the cover picture and text suggest, but historical fiction, or rather, fictionalized history. Raleigh (or Ralegh, as it's spelled here) is a man obsessed, ruled by his dream of exploration and discovery; Bess puts up with and enables his single-mindedness, because that is what she admires most in him. The ending is not a happy one, but it's foreshadowed from the very beginning, and of course if you're up on your history you already know what happens. Sutcliff's language is, as Not a romance, as the cover picture and text suggest, but historical fiction, or rather, fictionalized history. Raleigh (or Ralegh, as it's spelled here) is a man obsessed, ruled by his dream of exploration and discovery; Bess puts up with and enables his single-mindedness, because that is what she admires most in him. A book by Sutcliff for older readers about Sir Walter Raleigh's wife. I think I first learned of Bess Throckmorton in Molly Costain Haycraft's Too Near the Throne. Oh, dear, this was sad, sad, sad. It is a sad story....she loved him so much. He, on the other hand. Showed her no respect or love. He put his dream before her. He was not a role model for his sons. I do not know why the blurb and the title described and suggested that this book was about Bess Raleigh. The book settled more on Bess' husband, Sir Walter Raleigh. The book was surprisingly easy to read despite the author's overly long sentences and too many punctuation marks to service those sentences. That it is perfectly all right to use more periods and fewer colons and semicolons wold be my message to the author and editor of the book. Set in England under the reign of I RECOMMEND THE BOOK. Set in England under the reign of Elizabeth and later on that of James, the powerful European countries were on a race to settle and exploit the New World. While Bess and Walter loved each other, and none other during their marriage, they had different desires. Walter wanted a seafaring life, to explore the New World, to fight sea battles for his country, and to find El Dorado for his queen. Bess wanted a home complete with husband and children beside her. Strangely, the Raleighs spent much of their lives together either in prison or house arrest. Walter was eventually beheaded for his supposedly many crimes against the Crown. Walter's successes were tied to Queen Elizabeth, but his doom was the doing of King James. In appearance, Walter was a handsome man. He wore a pearl earring and was dashing in dress. Bess had no beauty to match Walter's handsomeness, but he found her very comely. At Court, in prison/house arrest, or in her home, Bess was loved and admired. Walter did not fare as well in society due to his arrogance and other infamous characteristics. But love Bess, he did, and she him. I believe this book had a lot potential to be better - I thought I would like it a lot more since I've fallen in love with historical fiction quite a lot in the last months. Didn't pay much attention to this genre in the past which makes me kind of needy for good books to read. I stumbled about this one while browsing free books for my kindle and the synopsis was awesome. 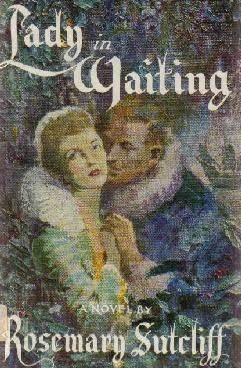 'Lady in Waiting' is the story of Bess, a Queen's Maid of Honor, and Walter Ralegh who's an adventurer on his search for grea I believe this book had a lot potential to be better - I thought I would like it a lot more since I've fallen in love with historical fiction quite a lot in the last months. Didn't pay much attention to this genre in the past which makes me kind of needy for good books to read. I stumbled about this one while browsing free books for my kindle and the synopsis was awesome. 'Lady in Waiting' is the story of Bess, a Queen's Maid of Honor, and Walter Ralegh who's an adventurer on his search for greatness in the New World. They meet at the Court and fall in love with each other despite different views on life. I expected quite a big love story. Maybe some kind of forbidden relationship - at least a lot of passion. To be honest, there wasn't much of this involved. Especially in the later book. It started out quite well - interesting characters, family backgrounds and a really easy-to-read writing style. However, all the passion and emotions I was waiting for never came up. The story kind of just went along and there was a lot of waiting involved (should have got that from the title already). Bess is constantly waiting - for her husband to do something or for him to come back. There was hardly any action on her side which means I got bored a little. A good book, but historical "fiction" (fiction only in the sense that emotions and minor events are invented--all the characters and major events are historical fact) about real people that one already knows something about can be very depressing--one knows only too well what's going to happen, which is bad, if most of what happened was bad. And while Raleigh fit a lot of action into his life, very little of it was likely very satisfying to him, and I find it removes my desire to finish a book, A good book, but historical "fiction" (fiction only in the sense that emotions and minor events are invented--all the characters and major events are historical fact) about real people that one already knows something about can be very depressing--one knows only too well what's going to happen, which is bad, if most of what happened was bad. And while Raleigh fit a lot of action into his life, very little of it was likely very satisfying to him, and I find it removes my desire to finish a book, knowing that that pretty much all the hopes and dreams of the characters are going nowhere--which is probably why it took me at least four months to finish this. The title of this book is extremely deceptive. This is not a book that focuses over much on Elizabeth I and the intrigues of her court, or really even on Bess's role. Her time at court is only briefly touched on. Instead, this is a book about loving the dreamer who is Walter Raleigh. It's a well written and well researched book which does the most justice to Raleigh's character, leaving Bess a little flat at times. But I enjoyed it nonetheless. Good but so sad! Even worse because I knew what was coming. It's one of the few Sutcliff books with a woman as the main character. It's also far less plotty than many of hers, which was fine with me. I was strongly reminded in places of Elizabeth Goudge, in terms of the general style & also the key importance of an ilex tree! I fully admit to my Philippa Gregory Chick Hist/Chist Lit guilty pleasure, however there was something about the writing style that made it not an easy read. Lots of authentic/old language perhaps? Whilst was interesting learning about Raleigh it dragged on rather boringly. I loved this one. Rosemary Sutcliff really is a splendid author and sort of just catches things in her words. 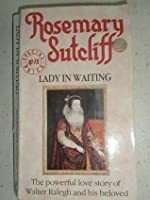 Born in West Clandon, Surrey, Sutcliff spent her early youth in Malta and other naval bases where her fa Rosemary Sutcliff was a British novelist, best known as a writer of highly acclaimed historical fiction. Although primarily a children's author, the quality and depth of her writing also appeals to adults, she herself once commenting that she wrote "for children of all ages from nine to ninety."